After her political debut last month, Priyanka Gandhi Vadra made her Twitter debut on Monday. Within minutes after Priyanka joined Twitter, her account read more than 10K followers. The Twitter debut has come on the same day when Priyanka is scheduled to hit the campaign trail for the forthcoming parliamentary elections in Lucknow. After her political debut last month, Priyanka Gandhi Vadra made her Twitter debut on Monday. 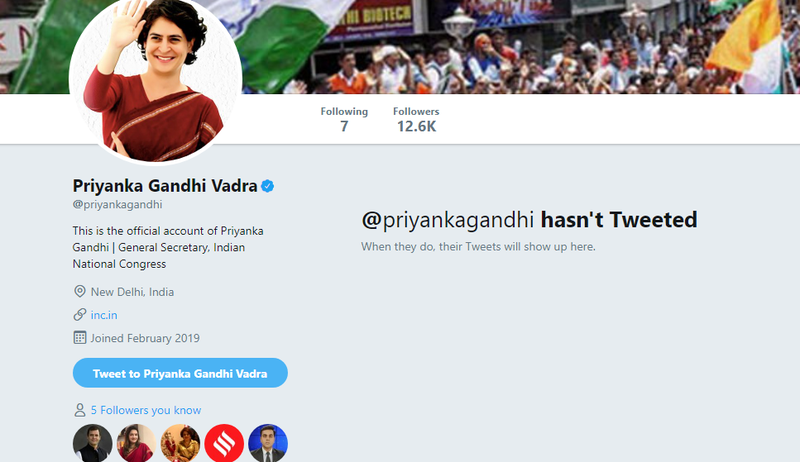 Within minutes after Priyanka joined Twitter, her account read more than 10K followers. The Twitter debut has come on the same day when Priyanka is scheduled to hit the campaign trail for the forthcoming parliamentary elections in Lucknow. As for the roadshow, the party has prepared a grand welcome for Priyanka Gandhi who will be accompanied by Congress scion Rahul Gandhi and senior party leader Jyotiraditya Scindia. 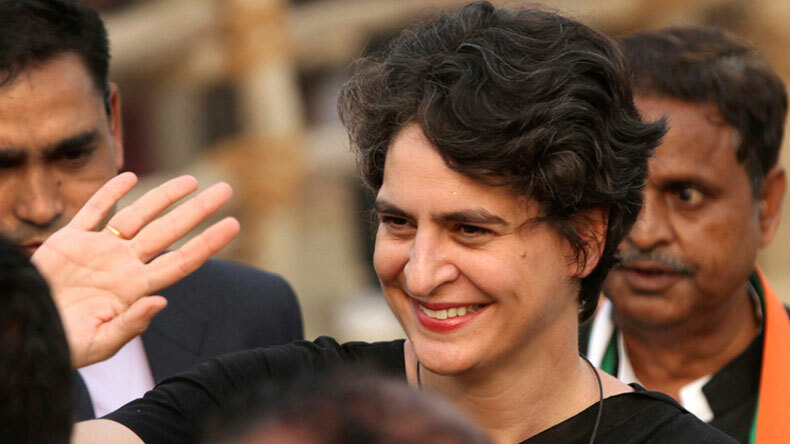 Priyanka is scheduled to hit streets for the next 3 days apart from the daily meetings regarding 40 constituencies which fall under her purview. Priyanka Gandhi has followed back a few accounts including the Congress party’s official account, Rajasthan Deputy Chief Minister Sachin Pilot, Rajasthan Chief Ashok Gehlot, senior party leader Ahmed Patel, Congress spokesperson Randeep Singh Surjewala, MP leader Jyotiraditya Scindia, and her brother and party President Rahul Gandhi. After Priyanka’s political foray, Rahul had said that it will boost the party before the Lok Sabha elections. However, political pundits describe Priyanka’s entry into politics as a necessity of the grand old party to take on the SP-BSP combine apart from the BJP in Uttar Pradesh. Worth mentioning is the pre-poll alliance of BSP and SP that have come together to take on Modi-Shah Juggernaut in politically important Uttar Pradesh that sends 80 MP to the Lok Sabha. However, it’s a major setback to the talks of mahagathbandhan at the national level among the regional parties, which presumably would be headed by the Congress.